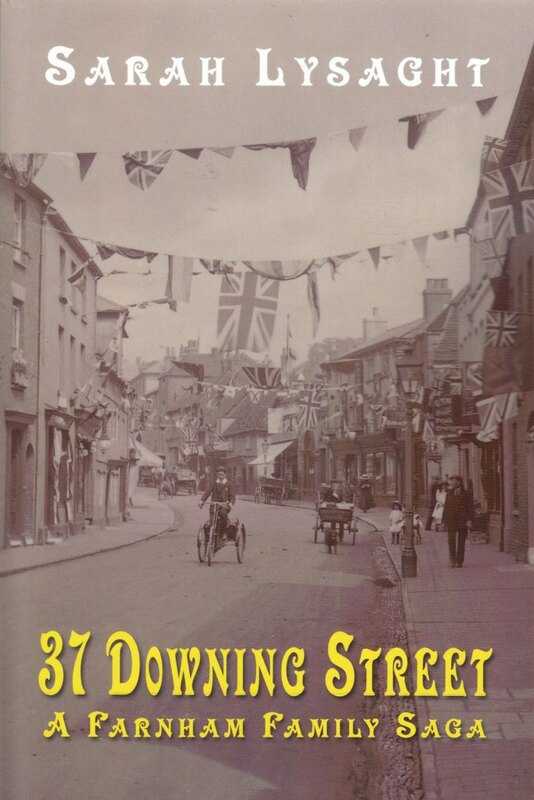 37 Downing Street is the compelling story of life ”above the shop” in a small English town. During a time of uncertainty and changing attitudes 37 Downing Street chronicles a family’s history from the last years of Queen Victoria’s reign to 1930s Britain. Edwin and Mary meet by chance and fall in love in the summer of 1889 but neither could have foreseen the challenges ahead. Edwin is a bricklayer’s labourer but he is ambitious and unwilling to follow in the humble footsteps of this father. In search of well-paid work to support his bride-to-be he travels to the Isle of Wight but fate intervenes and he grasps the opportunity to learn a new trade with good prospects before returning to set himself up in Farnham as a high class fishmonger. As Edwin’s business flourishes so he rises from a poor labourer’s son to a respected and well-liked member of the community. To the townsfolk of Farnham, Edwin’s large family seem to be enjoying life, but beneath the veneer of success things are not always as they might appear and the family endures many trials and tribulations over the years culminating in a challenge that threatens their future. Will Edwin have the strength to hold his family together as tragedy strikes? It is the summer of 1944, the Second World War is in full swing and George’s workload is larger than ever. He tries to ignore the warning signs but one day he is suddenly taken seriously ill. Although sixty-eight years old, George is not prepared for this and it’s a shock to him that he must stop working. Left most days with only his thoughts for company, he takes pleasure in looking back over all the things he’s done in his life. From a childhood growing up in Cheltenham, where he discovered the truth about his father’s tragic death, George went on to join the army and play a role during the Boer War. Decades later he reminisces about his army canteen career, his time in the military police and how fate brought him to Farnham, where he married and raised a large family. His only desire now is to get back to his job of NAAFI inspector, which he has enjoyed for the past thirty years. But will he ever be well again? And will he get to see the end of this war? Or will time simply run out for George? This story concerns five generations of the Bradshaw family, who had firm connections with the Manchester area. Across very different time periods we encounter five exceptional men and their families, whose lives together span more than 200 years, and discover how varied, yet similar, those lives could be. Theirs is a history filled with many twists and turns, changes and developments. 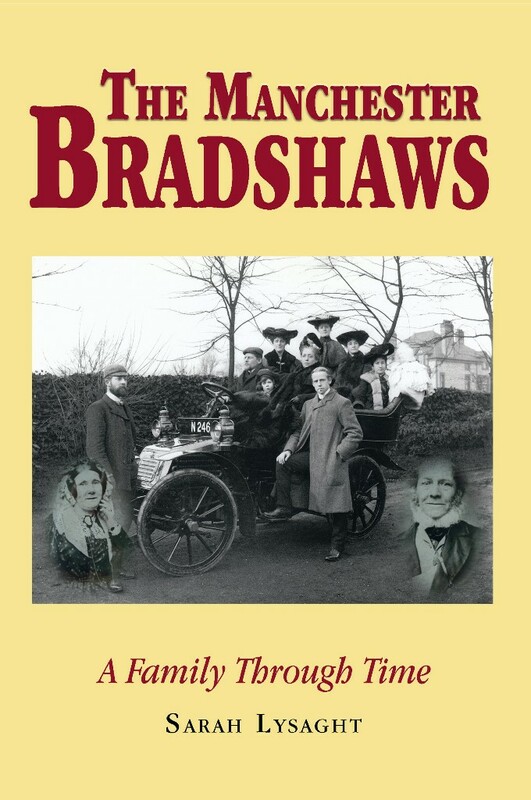 The Bradshaw family lived and worked in and around Manchester for many years. In the early days they worked hard to make a living, later generations benefiting from inherited wealth. Described throughout a number of generations as landed genrty, the family would exhibit great wealth, some airs and graces, a little influence, but no title. They made their fortune through good decisions and sound investments. As with most families, some members achieved happier lives than others, some benefiting from adventure while others were associated with scandal. This is their story and how the recent history of Manchester played an important role in touching all of their lives. You can order Sarah's novels through any good book store using the ISBN or through the Amazon website. These books are now available on Kindle. 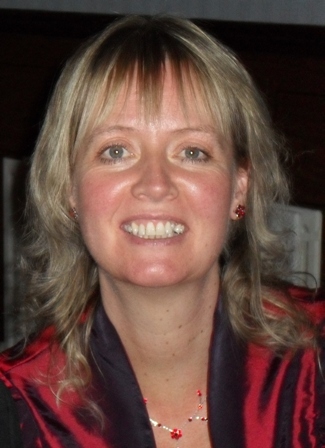 Sarah Lysaght is married, has three children and lives in Cheshire. A lifelong interest in history led her to research her own family’s ancestry which gave her the inspiration for her first novel, 37 Downing Street, which was released March 2012. 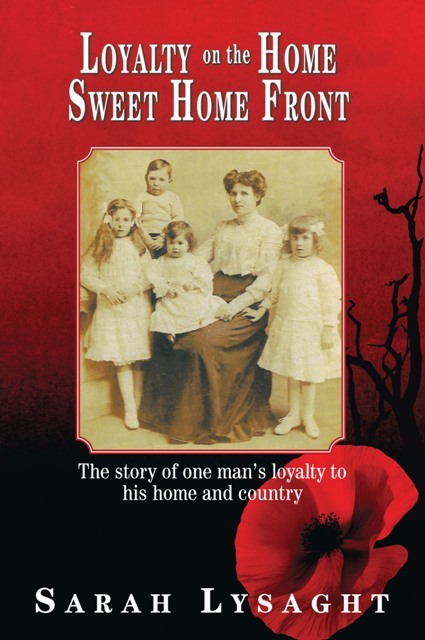 In July 2014 she completed her second novel called Loyalty on the Home Sweet Home Front. Sarah's third novel, The Manchester Bradshaws - A family through time was released on 30th April 2018. Sarah will be taking part in an Author Signing Event in Sandbach, Cheshire on 18th August 2018 where for one day only her books will be available at a reduced price. A percentage of these sales will be donated to charity. Elusivespirit Publishing was formed by Sarah Lysaght in 2012 when she wanted to publish her first novel.